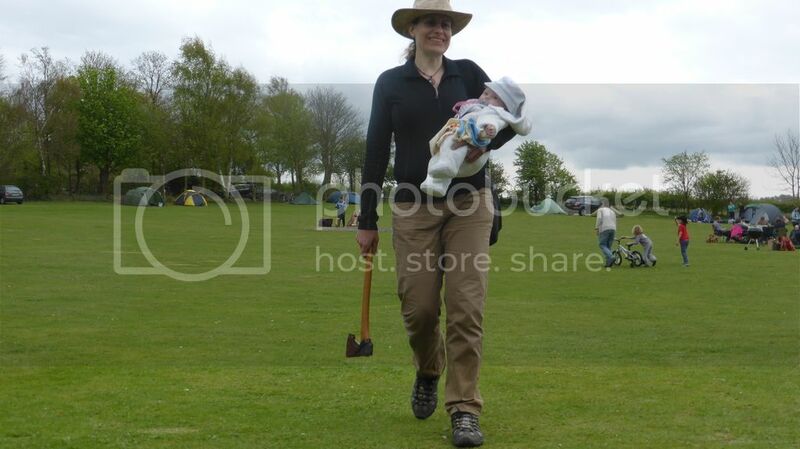 Next up is the axe and baby juggling display. "Spare the rod and spoil the child ..."
"Right darling daughter, you're big enough for your first lesson in scary sharp things." "We can soon change that..."
I know, I know. I slipped and cut the top of my hat off. Christening's not the same since the Aztecs took over the C.of.E. And Charlotte took the wood of the burnt offering, and laid it upon Iris her daughter; and she took the fire in her hand, and a knife; and they went both of them together. 7 And Iris spake unto Charlotte her mother, and said, My mother: and she said, Here am I, my daughter. And she said, Behold the fire and the wood: but where is the quinoa for a burnt offering? 8 And Charlotte said, My daughter, Jung Yi will provide herself the quinoa for a burnt offering: so they went both of them together. Which way to Highway 61?